I red the tutorial on Distress Stain usage on Lily Pad blog and just fell in love with this beautiful card. They ask to make cards or other projects for anything that inspires you while browsing their blog, so I "put my thinking cap on" (oh I have started to like this saying a lot) and made my own version of this card. I know they look the same - well the first one is a bit lighter than the other one. As I didn't know which one would be more suitable for the designs I was going to make, I printed them both. As I currently do not own any Distress Stains, I went for diluted Color Wash Sailboat Blue to mist the middle of my text paper. And this is one of my recent drawings - Lily for Lily paper and Lily Pad :) I colored it with ProMarkers, then did little shading with Worn Lipstick Distress Ink and Water Brush. Made two layers of petals and pinched and curled them for more dimension. I also added Stickles for some shine. And now - jippy - I have made a bow that is more or less decent for a card! I used the same pink seam binding just scrunched and spritzed one with color wash. In the middle I added nice fancy brad and also two key and keyhole brads from Woodware. 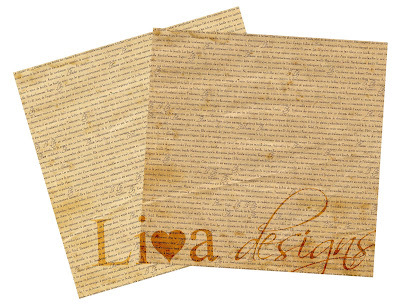 Liva, I love the look of text, also, on a card, maybe because I love books so much? Your idea to find some text about lilies is wonderful! I love how your card turned out - the lily is very life-like, the color is beautiful, and the little key charm is "charming"! Thanks so much for playing with us at Lily Pad Cards! 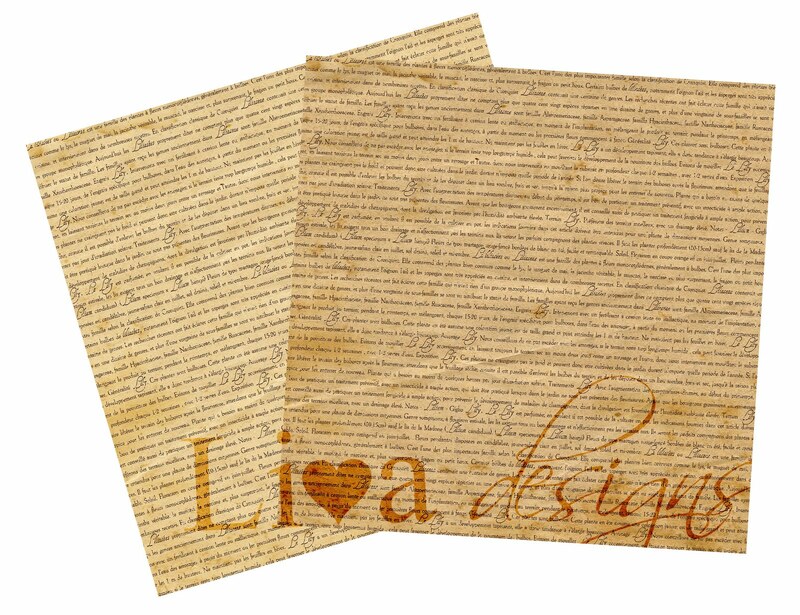 Really lovely card, Liva! I like how you sprayed the color wash for the background, such a pretty effect. I'm so glad you were inspired by Vicky's card and that you joined in the challenge at Lily Pad Cards. oh this is such a beauty!!! Love the flower and the background!!! So happy I inspired you! Thanks for playing with us!